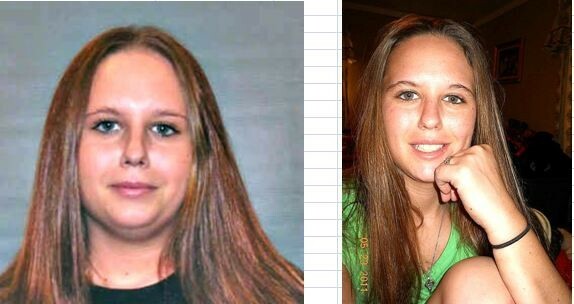 Its been nearly two weeks since 23 year old Sheena Colleen Pierce was last seen. Sheena Pierce wen missing on 8/19/11 when she was last seen outside her stepfather’s home on C Street in Williamston, SC. Pierce has a 5 year old daughter who relatives say, she would never leave the toddler behind without saying anything.She was last seen getting into a silver, 4 door SUV with several men. The disappearance is said to be “atypical”. Her step father says that he received text messages since she went missing; however, the step father thinks that the messages were not from her. Sheena’s stepfather, Jerry Allen, said his neighbor saw Sheena get into the back seat of a silver sport utility vehicle – possibly a Kia – with a dark stripe on the hood. He said he wasn’t home but his neighbor was out cutting the grass and saw her. The neighbor said Sheena got in the middle of the back seat where a man was sitting. She’s not been seen since. Allen said it’s out of character for Sheena to just take off and not tell anyone where she’s going. “She wouldn’t do that to her family, she wouldn’t do that to her little girl,” he said. If any one has any information regarding the whereabouts of Sheena Colleen Pierce, please call the police at (864) 847-7425. UPDATE I: Police: Activity detected on missing mother’s Facebook page. UPDATE II: According to reports, Sheena Colleen Pierce recently left her boyfriend, the father of the 5 year old girl, of 8 years and moved in with her step-father to help take care of him. He has several health issues. Once again a girl gets into a car with multiple men and disappears. The texts coming in after the fact sound a bit hinky. UPDATE III: Sheena Colleen Pierce shows up at stepfathers house after 2 weeks missing … WTF! She hasn’t committed and crime, what about child abandonment? I guess the parents can now say, “it is like her to run off and leave her child behind”. Who does she think she is, Casey Anthony without the murdering of the daughter thing? Sheena Pierce, the young mother who has been missing from Williamston for nearly two weeks, showed up on her grandfather’s doorstep in Anderson County late Tuesday night. Police Capt. Jay Grubbs confirmed just before 11 p.m. that Pierce was at Ridgecrest Drive just outside the city limits of Williamston. Because the address is just outside police jurisdiction, deputies with the Anderson County Sheriff’s Office were sent to confirm that the woman at the address was Pierce.